Closetful of Books will be here to sell Alice Pung's novels on Monday, 20 February 2017, during your recess time. There will be books by other writers featured as well. 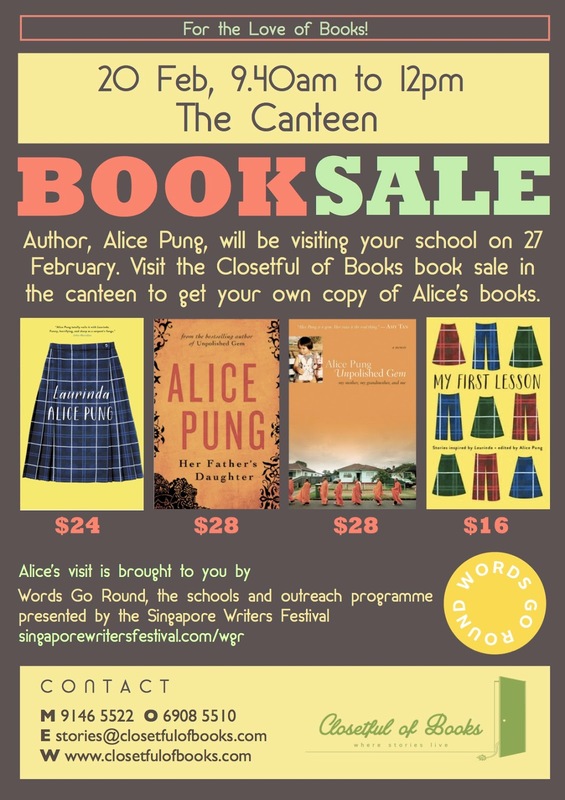 Alice Pung is the invited speaker for Secondary Ones Assembly on the following Monday, 27 February, 2017. She will be sharing on "Growing Pains and Belonging. For all more information about the writer, please visit alicepung.com. Remember to bring some cash to make purchases.